If you like big power without a big price tag, the folks at Lebanon Ford in Ohio have a Ford Mustang with your name on it. It’s not just another budget supercharged ‘Stang, either. This time, Lebanon Ford is offering a 1,000 horsepower twin-turbocharged Ford Mustang RTR for $75,000 – or less. Seriously. We’ve reported about some of Lebanon Ford’s crazy powerful, budget-friendly builds in the past, including an 800 horsepower Mustang GT for $40,000 and an EcoBoost ‘Stang pumping 550 horsepower for just $33,000. Lebanon Ford Performance (LFP) will also upgrade your Ford F-150, if you’re into that. They’ll transform a standard F-150 into a 725 horsepower monster with a $40,000 starting price, and a warranty. The newest Ford Mustang from LFP was a standard Mustang GT to start, and rather than simply stuffing a supercharger under the hood, LFP decided to go the turbocharged route. LFP installed a 62-millimeter Hellion Sleeper twin-turbo kit and when dyno tested, the RTR made around 700 horsepower to the wheels when running 10 pounds of boost. Surely that wasn’t enough, so LFP added additional upgrades, including a Ford Racing X-pipe, and an E85 fuel conversion kit. They then upped the boost to 12.5 psi and the car delivered 865 horsepower at the rear wheels. LFP estimates that their Ford Mustang RTR makes around 1,000 horsepower at the crank, and they say that it has room to grow. The car was also fitted with an RTR Spec 2 kit which modifies the vehicle’s exterior and interior aesthetics. Ford Performance springs, an axle-back exhaust, and RTR-branded wheels were added, too. The buyer didn’t stop there, and LFP enhanced the interior of the car with ‘Show Stopper Red’ leather. The made-to-order RTR added up to about $75,000 but less expensive turbo Mustangs can be had from LFP. We reached out to LFP to see how cheap they would build a twin-turbo Mustang GT, and Josh (from the video) told us that for $40,000 they will fit the turbo kit to a base manual transmission 300A Mustang GT. In the cheapest form, it’ll make about 630 horsepower to the wheels (725-750 crank hp). The cheapest way to get to 1000 horsepower is a $20,000 kit added on to a base GT, so less than $60,000 when it’s all said and done. Thats more power than a Dodge Demon power for less than a standard Hellcat. Considering that a base model 2019 Ford Mustang GT starts at $35,355 and comes with 460 horsepower, we think that doubling the power (and then some) for double the price (or less) is a hell of a deal. Unfortunately, though, as soon as a turbo kit is fitted Ford’s standard powertrain warranty is no longer in effect. Things like electronics can still be warrantied, but if anything happens to the engine or transmission, well, too bad. 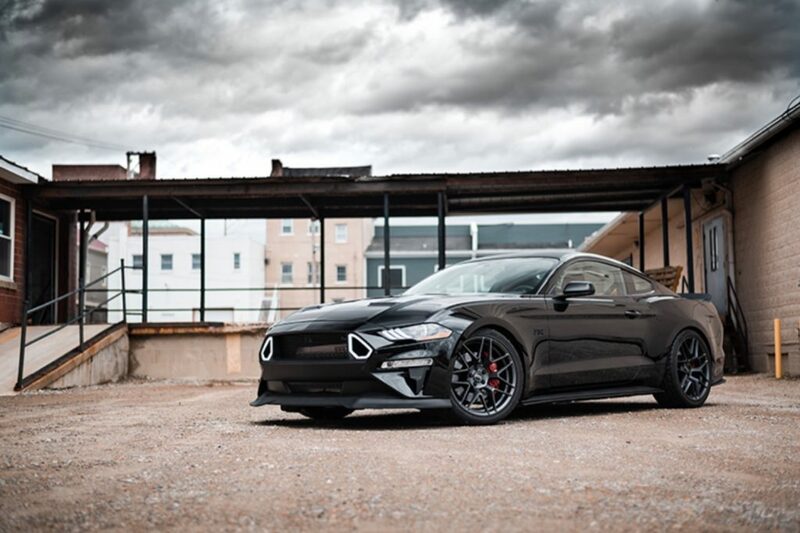 Would you rather go with a $40K supercharged Mustang with 800 ponies, or up the ante with this 1000 horsepower twin-turbo RTR for less than $75K? Let us know in the comments below and subscribe to Ford Authority for content like this delivered directly to your inbox on a daily basis.